Kaz Grala joins Richard Childress Racing’s 2019 NASCAR Xfinity Series program for select races in the No. 21 Chevrolet Camaro. Justin Alexander will serve as his crew chief. As a native of Boston, Massachusetts, Grala got his start racing go-karts at F1 Boston when he was four years old, winning multiple championships as he honed his racing skills. At the age of 10, he began racing Bandoleros, winning the Outlaws Summer Shootout championship in 2011. In 2012, Grala won 15 races and the Winter Heat Championship at Charlotte Motor Speedway in the Legend Car Pro Division. Grala’s stock-car racing career kicked off in 2013, when the then 14-year-old driver competed in the UARA-STARS Series, becoming the youngest winner in series history at Hickory Motor Speedway. The following year, Grala ran in the Michelin Pilot Challenge at just 15 years old, becoming the youngest driver ever to compete in an IMSA event, a record that still stands. 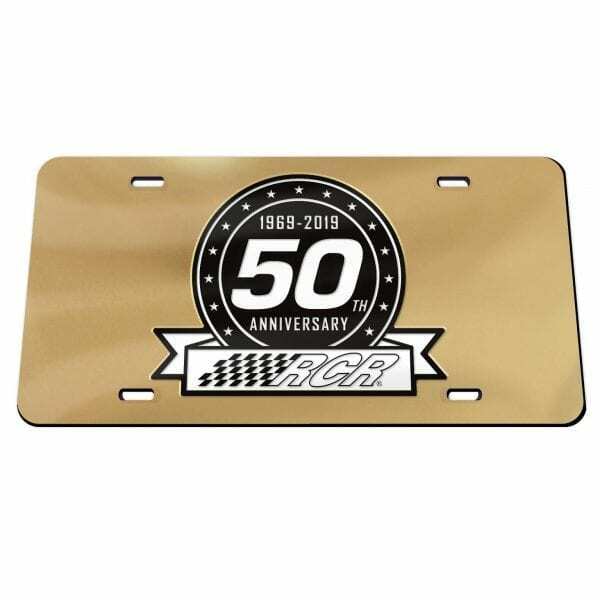 Also in 2014, he competed in the NASCAR Whelen All-American Series and won events at two historic racetracks: Martinsville Speedway and Caraway Speedway, where he became the youngest NASCAR winner in track history. In 2015, Grala drove for Kyle Busch Motorsports in Super Late Models and became the youngest winner in KBM’s history, leading 131 of 150 laps en route to victory from the pole at South Boston Speedway. In 2016, Grala competed in the Rolex 24 Hours of Daytona. 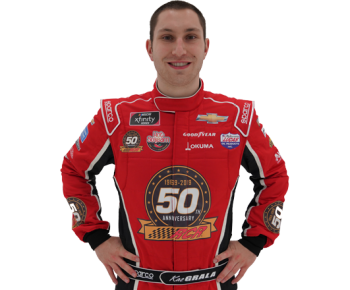 At the age of 17, Grala was the youngest driver ever to compete in prestigious event. 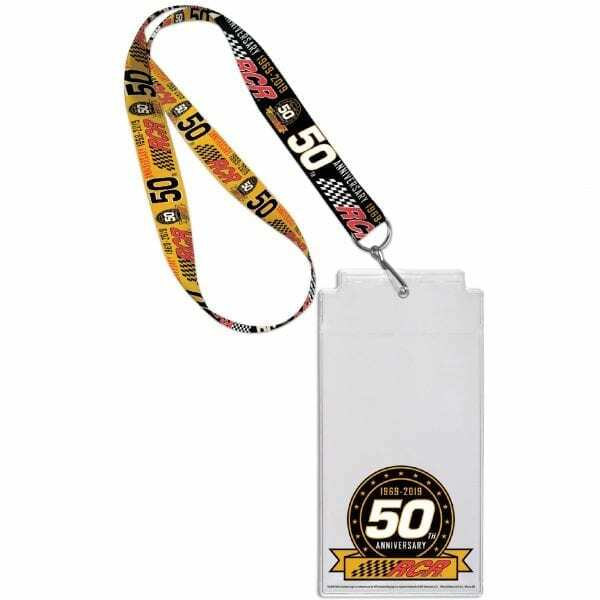 Later that season, Grala made his NASCAR Gander Outdoors Truck Series debut at Martinsville Speedway, running a part-time schedule throughout the year. The following season, Grala made his first full-time effort in the Truck Series, kicking off 2017 with a win from the pole in the season-opener at Daytona International Speedway, making him the youngest NASCAR winner in history at the storied track at 18 years, 1 month, and 26 days old. Grala capped off his stellar rookie season as the youngest driver ever to make the NASCAR Playoffs. 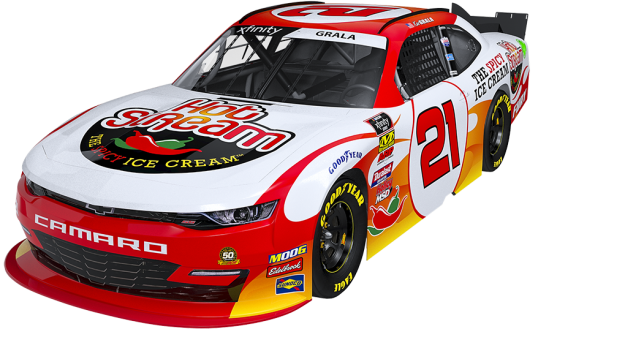 In 2018, Grala made his NASCAR Xfinity Series debut with JGL Racing, scoring an incredible fourth-place finish in the season opener. The impressive results continued for the first five races of the season with JGL, which netted the best average finish in the team’s history. Unfortunately, the team unexpectedly shut its doors because of the owner’s health issues. 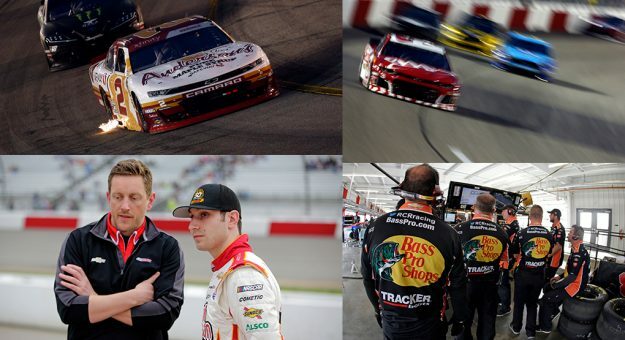 With little hope of a mid-season opportunity at another team, Grala, with the help of family, friends, and FURY Race Cars, took on the near-impossible task of creating a competitive NASCAR team in under two weeks — they succeeded. Together, Grala and FURY collected a top-10 finish in their first race together and a near win in their third. Justin Alexander returns to RCR as the crew chief for the part-time No. 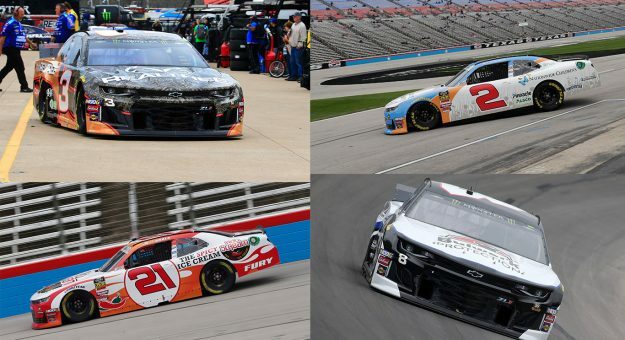 21 Chevrolet in the NASCAR Xfinity Series and No. 31 Chevrolet in the Monster Energy NASCAR Cup Series. After serving as crew chief for the No. 2 NASCAR Xfinity Series team for the first eight races of the 2017 season, Alexander began working in the MENCS with Dillon in May. In their first start together, Alexander made a fuel mileage call that put Dillon, RCR and the No. 3 Dow Chevrolet back in Victory Lane. The victory was a career-first for both Alexander and Dillon. Working together for a total of 25 races, Alexander led Dillon and the No. 3 team to one win, two top-five and three-top 10 finishes, that culminated with a spot in the NASCAR Playoffs. The pair opened up 2018 with a statement victory, winning the 60th running of the Daytona 500. Alexander went on to lead Dillon and the No. 3 team to two top-five and eight top-10 finishes, earning their second-consecutive playoff spot together. Before making the jump to the MENCS, Alexander led the No. 2 NXS team to five top-five and six top-10 finishes working with Dillon and Ben Kennedy. After serving as the crew chief of the No. 27 MENCS team at RCR in 2016, Alexander assumed the role of crew chief of the No. 2 Chevrolet in July of that year and called the shots for the final 14 races of the season, working with a variety of drivers including Dillon, Paul Menard, Kennedy, Sam Hornish Jr. and Michael McDowell. Alexander made his first trip to Victory Lane, just one week after assuming his role as crew chief of the No. 2 team at Bristol Motor Speedway in August 2016 and again the following week at Road America. In total, Alexander captured seven top-five and nine top-10 finishes. Alexander, 36, earned his Bachelor of Science degree in Mechanical Engineering at North Carolina State University where he struck up a friendship with Luke Lambert, crew chief for Ryan Newman and the No. 31 Chevrolet team. The two met while participating in the Formula SAE program and became roommates during and after college. 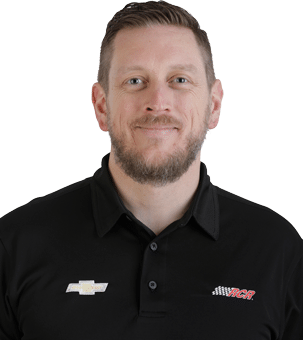 The Charlotte, North Carolina, native started his NASCAR career at Hendrick Motorsports as a shock specialist for the No. 24 and No. 48 teams in 2003. Two years later, he became the lead engineer on the No. 48 team and moved to an R&D engineer in 2006. In 2009, he was named lead engineer for the No. 24 team. During his tenure, Alexander was part of five MENCS championships. Following his aspirations of becoming a crew chief, Alexander joined RCR and the No. 27 team in January 2014 as lead engineer. Throughout 36 races of the 2014 season, Alexander contributed to the team’s career-best of five top-five and 13 top-10 finishes. The 2015 premiere series season marked Alexander’s first as a full-time crew chief in NASCAR’s top-tier series. Alexander led the No. 27 team to its first bid in the Chase for the championship, ultimately finishing 14th in the championship driver point standings. With Alexander’s guidance on the pit box, Menard collected two top-five, five top-10 and 20 top-15 finishes. Alexander received four of the prestigious MOOG Problem Solver of the Race awards throughout the season. This award is presented to the crew chief that makes the biggest gain in lap average speed in the second half of each race.